Everyone has their wedding day would have, could have, should haves. It’s only human to overanalyze the s*** out of every life decision you’ve ever made. For instance, for me, I probably shouldn’t have worn the gorgeous, 4-inch rose gold Kate Spade pumps that were beautiful, but basically ruined my walk down the aisle. Hey, you live and you learn. Right? For others, the I Do re-dos are a bit more dramatic. As in, well the wedding was great, but the venue was eh. You know what we’re talking about, a lackluster place that would leave you feeling 😒. And that’s never a good thing, you should be hundo p psyched about the locale you’re proclaiming your love at. It’ll be photographed and forever immortalized in the album that you obvi obsess too much over, too. So, you should like it, and get annoyingly excited to tell everyone in your life about it. I definitely loved my wedding venue, and have very little, if any, regrets about it. But, considering all the incredible options couples have now - I only got married three years ago, so of course there were unbelievable places then too - I might bend on that a bit. Especially when it comes to a destination wedding. The opportunities to have an out-of-this-world affair are endless and we’ve got our eyes on a few venues that we know you’ll fall in love with too. And you can catch up with all of our favorite celebration sites in wedding inspiration. If these don’t float your boat.. 🤯🤯🤯 impossible. 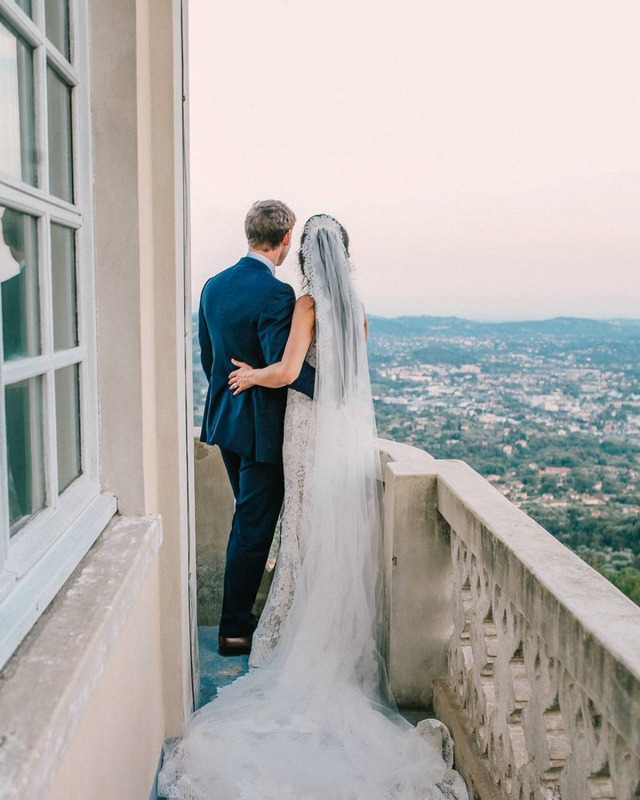 Swipe through to see photos that pretty much say it all, but just in case you need a little more convincing, here are the hallmarks we need to see in any destination venue that gets a Wedding Chicks haute list honor. Pay attention! This is a no brainer… Just by the sheer nature of destination ‘I Dos,’ you can be sure your setting is hella scenic. Italy, France, Spain and the caribbean all have views, and you can plop yourself right into them. All while exchanging vows with the love of your life. This one is HUGE. For a venue to earn gold status in our books, it has to offer weddings that can benefit from the natural beauty of the space. Beyond stunning botanicals, crystal blue #somethingblues, lush wedding lounges draped in indigenous florals.